They are a reminder of the presence of wonderful people who make our lives equally amazing and your wife surely is one such person in your life. So, how do you plan on celebrating her day? Keep it interesting and make it memorable and you may end up seeing her beaming with happiness after you plan unfolds. However, it is easier said than done as a lot of things need to be prepped up and put in order, right from the birthday cake for wife, gifts and decorations, refreshments for the guests. It is one heck of a job but the happy face of your loving wife is worth all the effort. 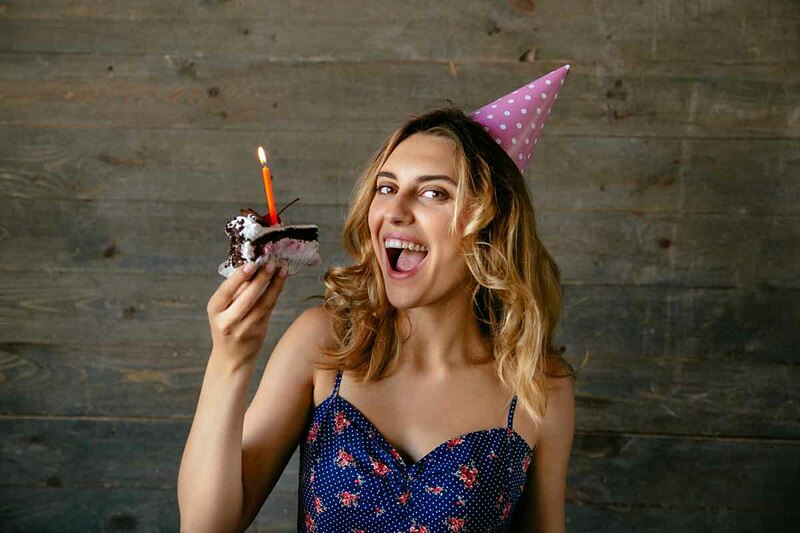 To make it a bit easier for you, here are some birthday gift options that can help you narrow down your search and make your wife’s birthday a memorable one, just the way you want. Personalized birthday cake: A cake holds a special place in the birthday pleasantries. So why not start with getting a customized cake finished with personal touches. A heart-shaped or makeup kit-shaped or a personalized photo cake are some great options you can look at. A blingy piece of jewelry: Women love their accessories and never have enough of them, jewelry being no exception. Your wife will definitely appreciate it if you get her an ornate necklace or a snazzy ring which she can proudly flaunt at her birthday party. A photo frame: Photos are not just snapshots, they are memories frozen in time and captured on a single frame. A personalized photo frame with pictures depicting your priceless memories will rekindle your bond for sure. A hamper full of her favorite chocolates: If your wife loves chocolates, a hamper full of all her favorite chocolate will definitely be the perfect treat to get her in the mood. Gift voucher: Women love shopping and it is both a favorite pastime and therapeutic in nature for them. A gift voucher of her favorite brand or favorite shopping portal, will definitely get her hooked on and make you the best husband in the world. Holiday package: Spending more time with your loved ones is probably the best gift you can give them. Surprise your wife with a couple holiday package for a vacation to a place she has been wanting to go for a long time. It will quite unexpected but a sweet and loving gift nevertheless. A DIY dinner date: A dinner date is not that unusual but a dinner date done all by yourself is surely much more special. Prepare her favorite dinner yourself and make it a romantic affair with romantic lighting and romantic music playing in the background. A thoughtful piece of home decor: Women love to get their house in order and home decor is one way of doing that. A thoughtful piece of home decor, be it a showpiece, a painting, an elegant lamp with a decorative cover or any other stuff, will be a great gifting option. You can also go ahead and get these items personalized with a stamp of memories which have stood witness to your bond of love. So, go ahead and make your wife fall in love with you all over again with the token of love you choose for her birthday. Most of the options listed here can be ordered online without any hassle so that you spend your time and energy on making your wife feel loved.